This is the home of Sally and Mark Bailey which is located in the English country side, two hours away from busy London. The couple has always loved living in unusual places, far from the bustle of the city to enjoy nature all year long. In their home you can find second hand objects and furniture mixed with items from their famous shop Bailey Home and Garden. 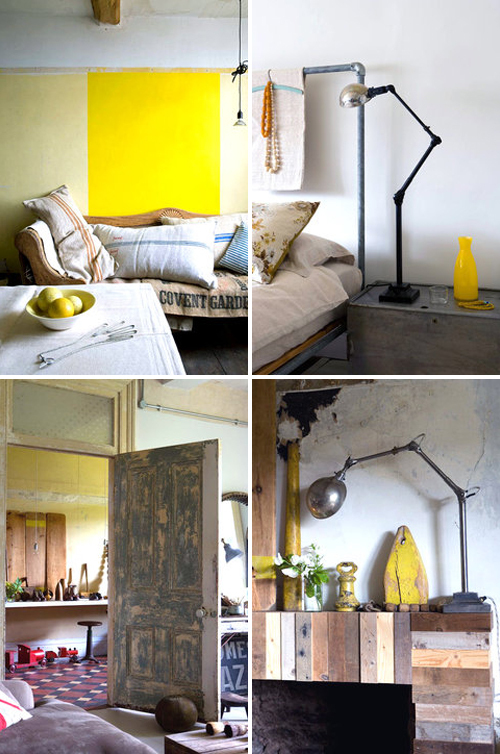 Here and there touches of yellow bring color to the rooms. I have one of their books. They are amazing! I love their style!! Their house is just fabulous, such a special place. As is their shop and everything they seem to put their hands on. Thank you for sharing! It has a lovely and unique “country” feel to it! I really love the idea of the ‘unfinished’ touches. 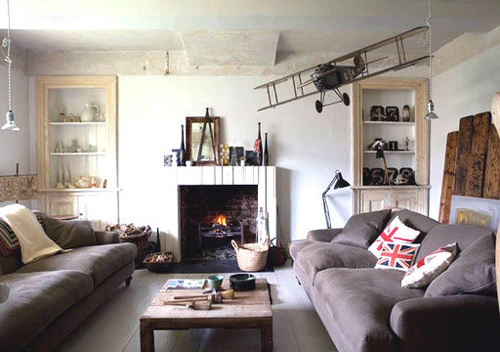 There is something quite endearing about a home in the countryside which is left slightly undone- as though renovations still need to be completed- but of course this is a very organized and poignant mess. I love how there is clutter yet it’s so sparse and the neutral colours keep it fresh whilst the ornaments and distressed feel keep it cosy! A very creative and lovely home. 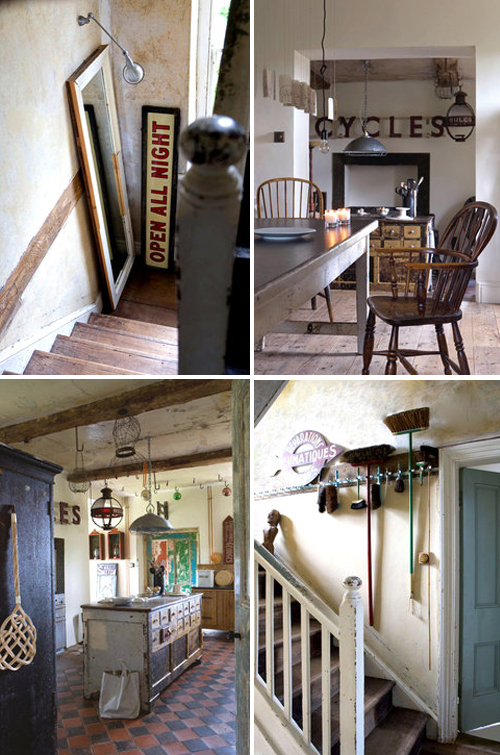 Rustic and cozy but with loads of style and personality! Love it!! Absolutely gorgeous. I love the beauty of all of the natural textures. I imagine I would feel very serene in that environment! i loooooove the yellow, my absolute favourite! The yellow splashes of colour are really beautiful, they definitely enliven the rustic warmth of the home – thank you for sharing. 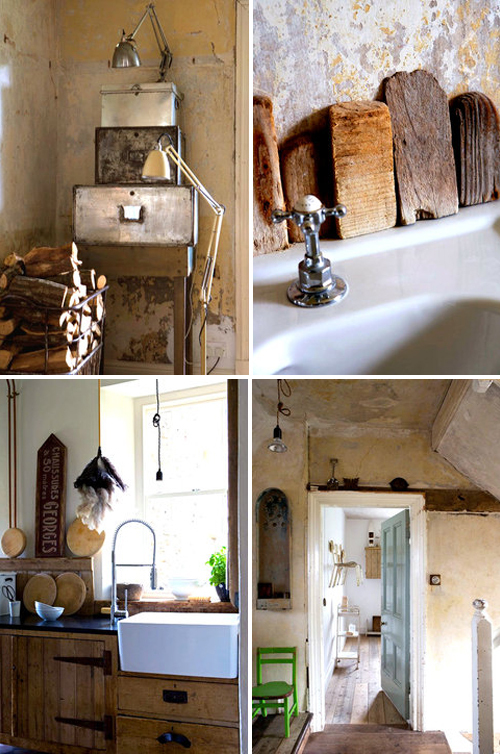 This is rustic done “right.” It’s warm, clean and uncluttered. I love it! oooh, this really is very shabby chic, I love the flash of colour with the green chair! Love your way with deco! What are the books called?